Thanks so much for the D-Ribose info. Oddly, though I’ve worked in the holistic health world for years, I never heard about the use of this supplement for energy for the chronically fatigued, fibromyalgic, ATP starved! I’ve only been using it for a day and a half and already feel a bit of increase in energy. Which is awesome since I was becoming bed-ridden several hours each day, again. 😦 I’m very appreciative of your blog. Very informative. Thanks for stopping by and reading! I’m so glad that it’s helping your fatigue. I read about it in a book and website by Dr. Teitelbaum, if you are looking for any more info about it. With this condition it seems to take so much research and trial and error to find out what works, which is why I started a blog to share what works for me. I’ve just been prescribed vit d recently as I was low and noticed when I take it improved the arm and leg pains I’ve been getting for the last 4 years. I stopped and it swiftly came back so I’m back to it. Definitely fab. I didn’t know it was a thing until trying. I also use yoga for the pain. This is a really interesting breakdown too. I’ll try the regular ones for my back when physio has it back in shape. 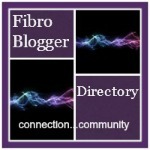 So we find information about fibromyalgia starting in the hands but what now? Whats the treatment plan? How do you test for any of that? I have been trying to find that out. Also I am on amnitriptoline, thats my main one. Seems to working ok, I really do need some pick me up and go. I may try a few that you have mentioned. 🙂 THANKS!